Generic for red or purple syrup sweetener colorant made from pomegranate juice and/or artificial flavorings. Usually non-alcoholic. Brands containing real pomegranate are most desirable. Two such are Angostura, and Fee Bros. American Beauty. 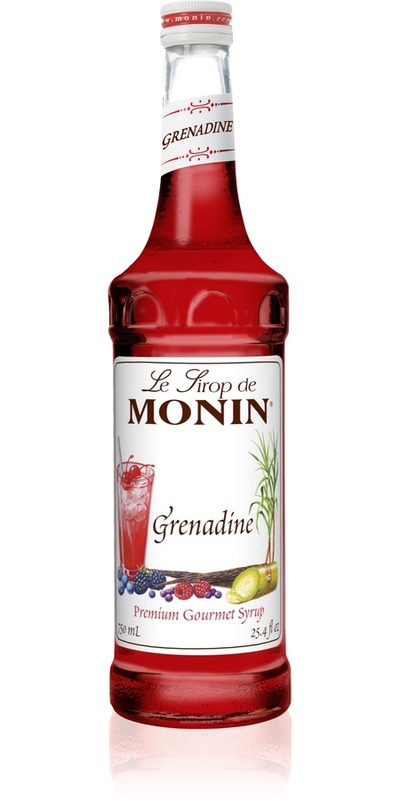 The word "grenadine" is French diminutive for "pomegranate." Generally available. Available for on-line ordering in some markets.